We all always want to have the most beautifully decorated house on the block, but most of us aren't nearly as capable as others. 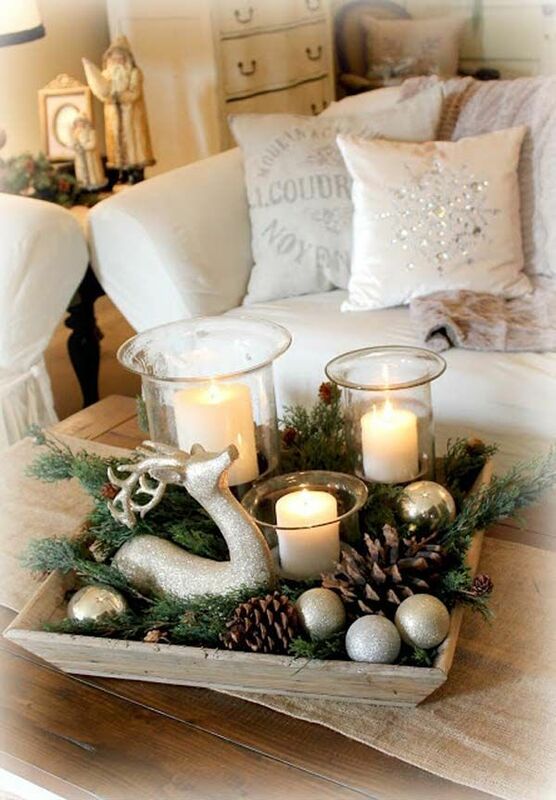 That's why I put together quick and easy Christmas decorations and accents that anyone can pull off. Use an apothocary jar to create your own mini Christmas village! 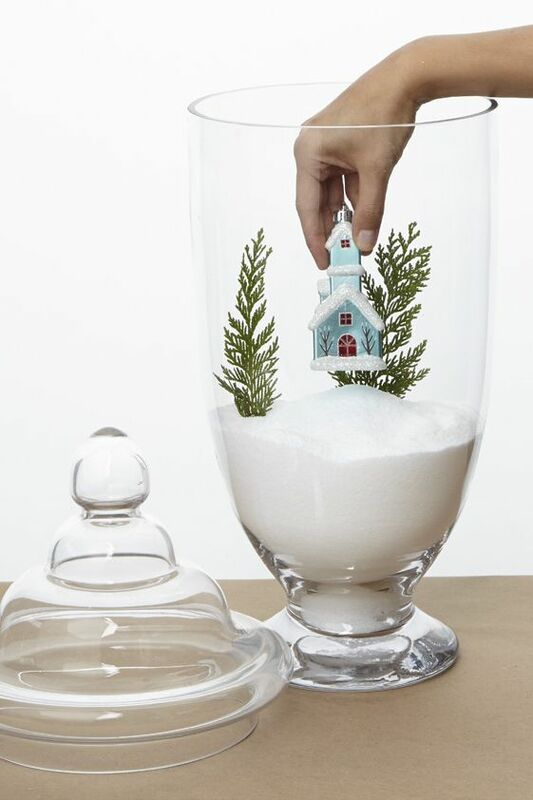 With salt as your base, all you'll have to do is place a small house and a couple mini trees inside, and then you've got a great Christmas decoration for an entryway. 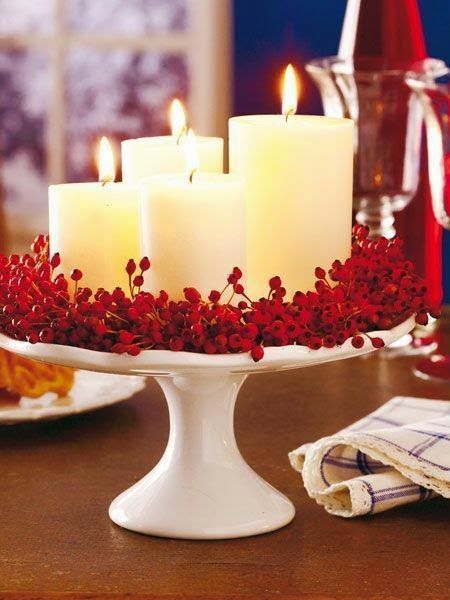 If you don't want to stray too far from traditional decorations, try using pillar candles but place them on a cake stand instead of classic candle holders. Add a little extra pop to it with artificial berry garland to tie in the Christmas theme to create the perfect holiday home accent. 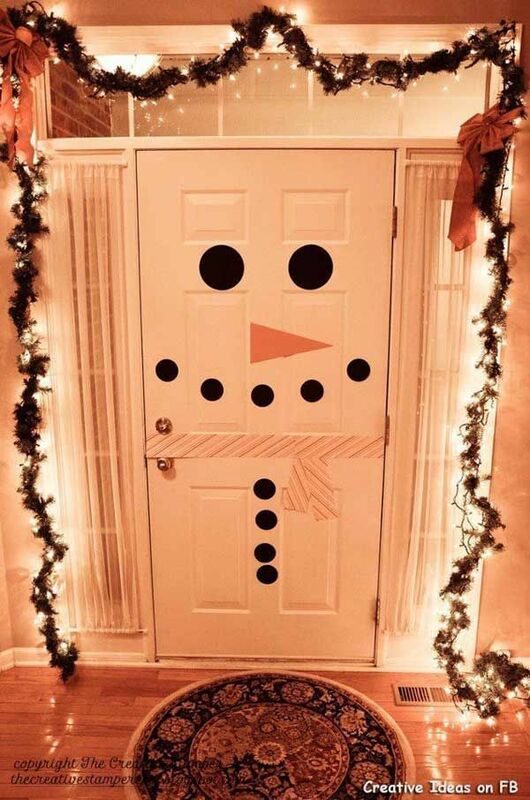 This is a great easy Christmas decoration to let the kids help out with! It looks adorable on the inside and is incredibly easy to do. All you'll need is some construction paper, wrapping paper, a pair of scissors, and a wild imagination. 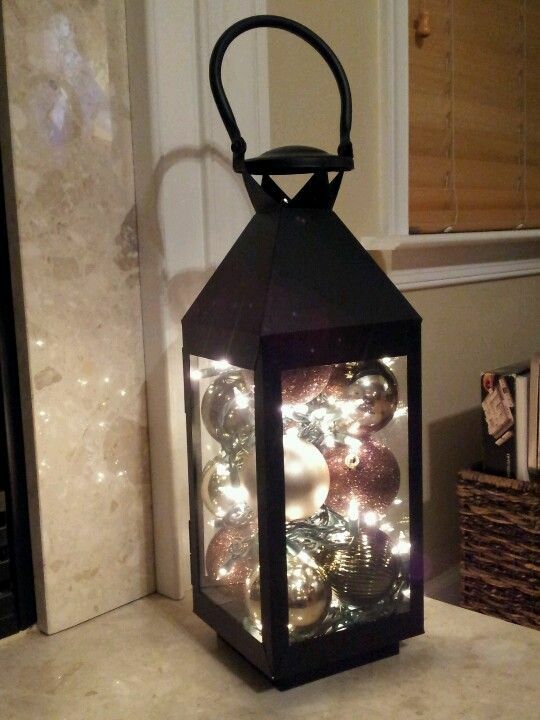 Instead of sticking a generic candle inside of a lantern, enclose a handful of ornaments and battery-operated Christmas lights for a more eclectic look. I'd love to place these by my front door! For all of the minimalists who don't want to have to try too hard while decorating, this one's for you. Use some ribbon (or even an old bedsheet!) and cut it out into a "t" shape. 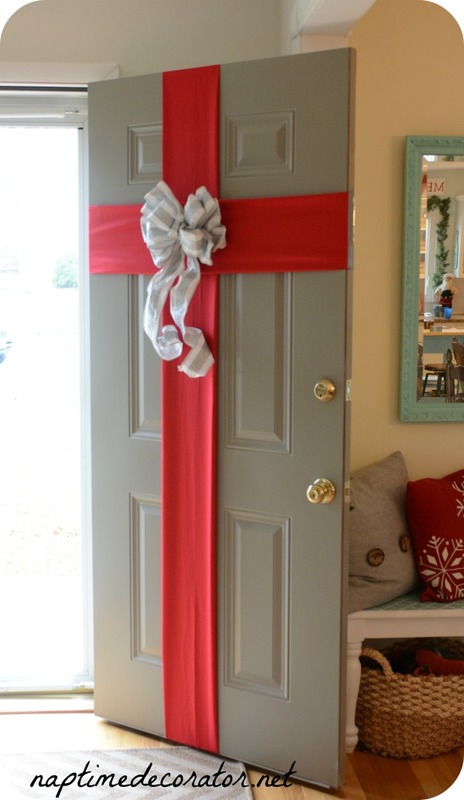 Add a bow on top and your entire home is now one big present! This is the best kind of holiday decor—the kind you can keep around way after the Christmas! Since it's not decked out in red and green, this glamorous winter centerpiece will make everyone compliment your design skills even though all you did was throw it together. A perfect dining room table centerpiece that you can use all winter long. 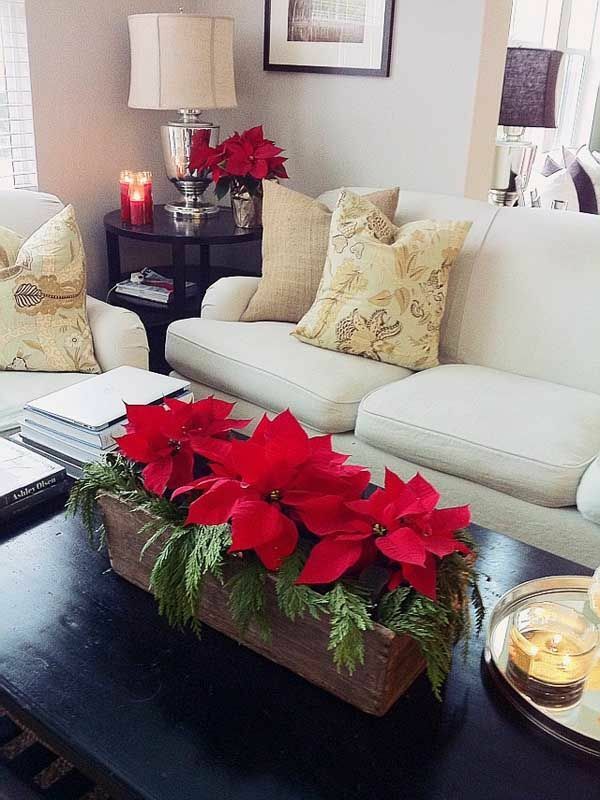 Instead of just leaving your poinsettias in the less-than-enthusing foil they come in, go to a craft store and pick up a large enough rustic-looking box that would fit 3 plants inside. This a much more attractive alternative (particularly for dining rooms) and may actually get you to keep your poinsettias out for longer than just until Christmas! 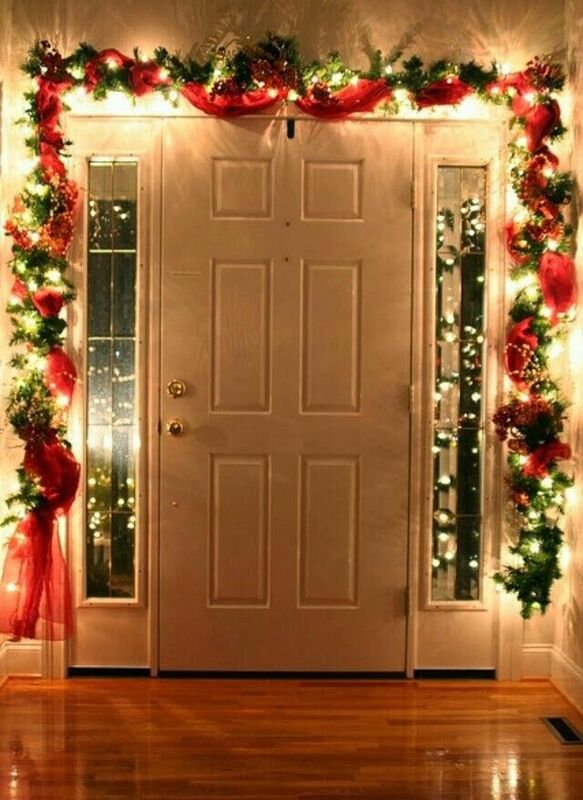 A lot of people put light-up garland around the outside entryway of their home, but very few have even thought about putting it inside of their home. It's an easy Christmas decoration to hang and can be purchased from just about any store that carries holiday decorations. 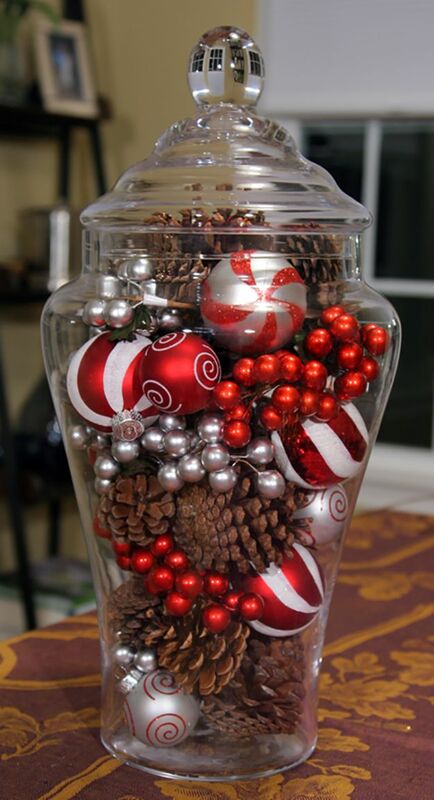 Use another apothocary jar accent to throw in a mix of ornaments, pinecones, and artificial berries inside. This will make for a great statement piece on any dining table. Apothocary jars are awesome because they can be reused for just about every holiday. You probably have dozens of empty wine bottles in your kitchen already (because who doesn't?). So why not put them to use and turn them into these cute little candle sticks! All you'll have to do is get some small branches from the pine trees outside and a little bit of twine for this festive accent. Which easy Christmas decoration are you most excited to try? Let me know in the comments! 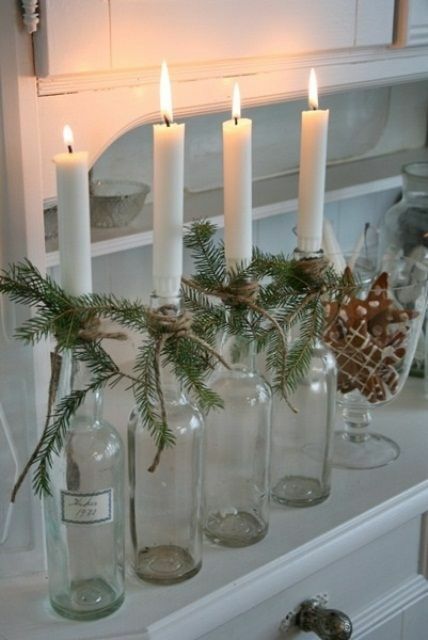 Also, check out how to DIY these crafts and more on our Christmas Pinterest board! 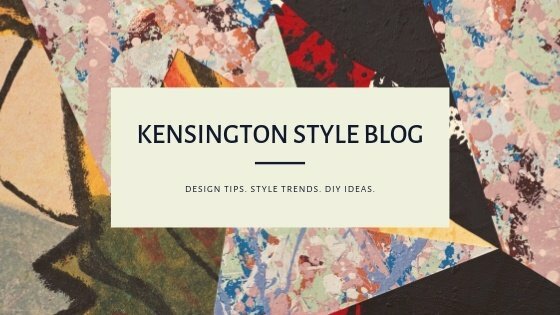 Don't forget to take our style quiz!